Go to the store with your wife. When you buy a mattress for two, you have to select it together. Put on comfortable clothes to lie down on a mattress (trousers - good idea) and shoes that can be easily removed. Lie down on the mattress and relax for a while. You can not appreciate the support and comfort of the mattress, sitting on the edge, or rested only a few seconds. Do not be shy. Lie down on your side. Is it convenient to your hips and shoulders? Let lie down next to your spouse - if there is enough space for you? Learn about the mattress all that you can. Learn all available information, read the labels and insist that the seller told you about the features of this model. 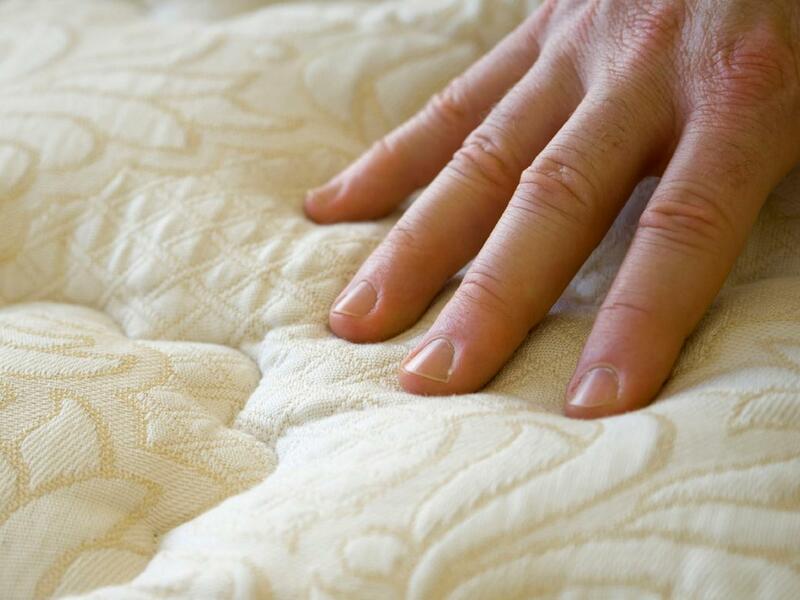 If you are in doubt, ask the seller to list the components that make up the mattress. Buy at a store that you know and trust. Selected on the basis of better quality, not because of the low price. Prices can show you quite high, but do not forget that we are talking about the comfort of your sleep. Buy the best of what you can afford. Sometimes in advertising a free bed and shipping. Nothing is free not. "Free" items are included in the price of the product. Choose a good bed. Stand is also recommended for beds of all sizes. If the installation of poor quality, do not take it either free or for a fee. If you can, buy the full set. Mattress and Mattress Protectors created to work together. Mattress Protectors works as a shock absorber and allows you to extend the life of the mattress and longer retains its comfort and supportive capacity.